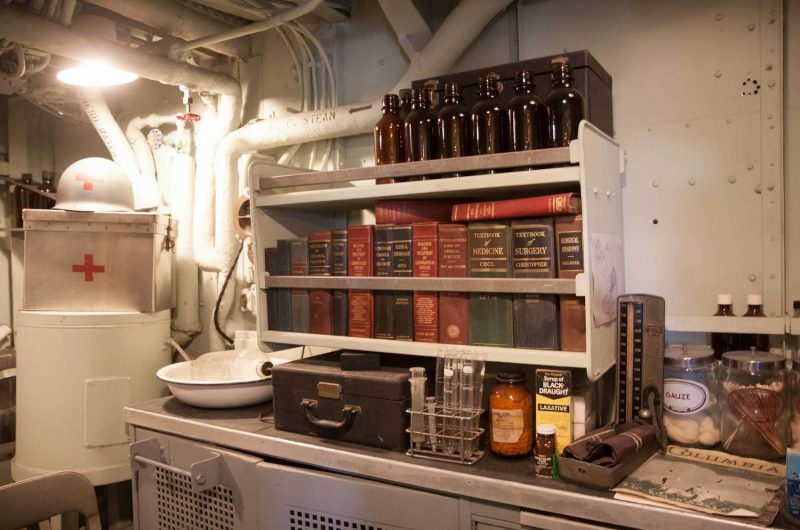 The midship’s passageway contained five compartments vital to the operation of the ship. Sickbay is the next compartment, where the ship’s medical supplies were kept. 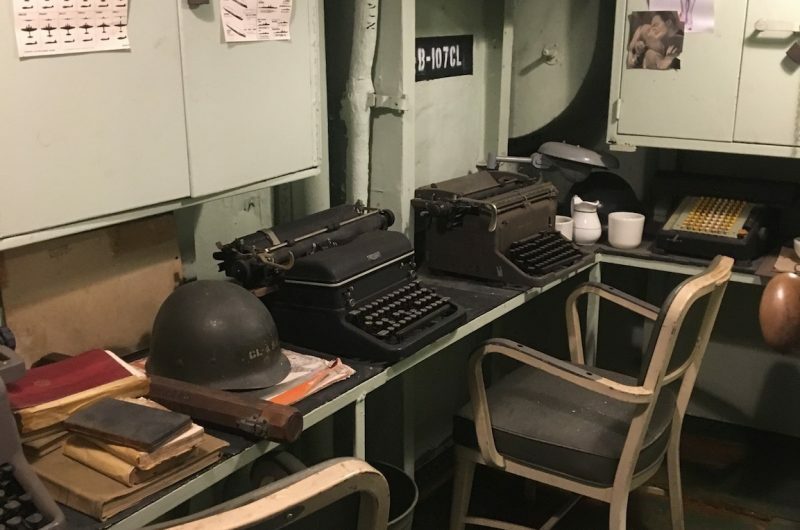 It was here that the Pharmacist’s Mates and ship’s doctor whiled away the hours between sick call or general quarters, when combat could make their business a grim one. All crew members were drilled in basic first aid, in the event of casualties too numerous to be handled by the medical department alone. 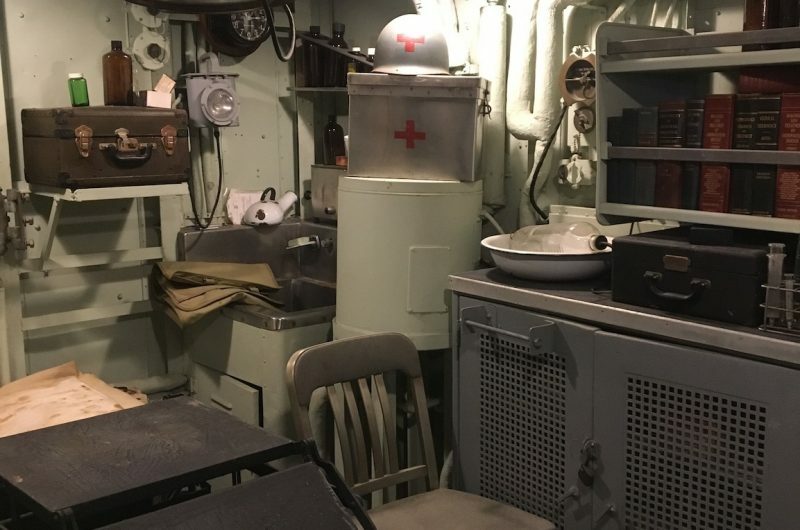 Most of the doctor’s equipment was donated by Mrs. J.C. Stovall, whose husband was the ship’s doctor on an attack transport. 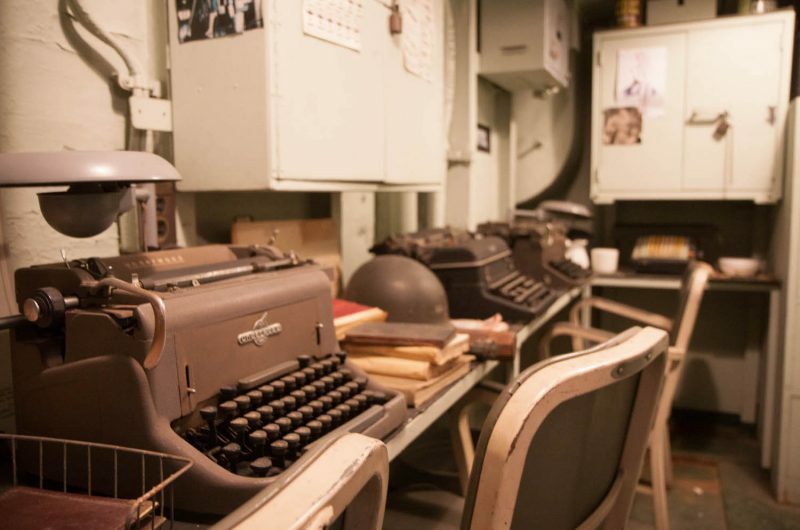 Also visible are personal articles belonging to Dr. Broox C. Garrett, Jr., who served as ship’s doctor aboard the KIDD during World War II. Notice the cramped quarters and the dentist chair. There was not much room for the ship’s doctor to handle his patients. Serious injuries had to be moved to a vessel with larger medical facilities. Any surgery that had to be done immediately was conducted on the Officers’ Wardroom table. That’s right! The officers’ dinner table! 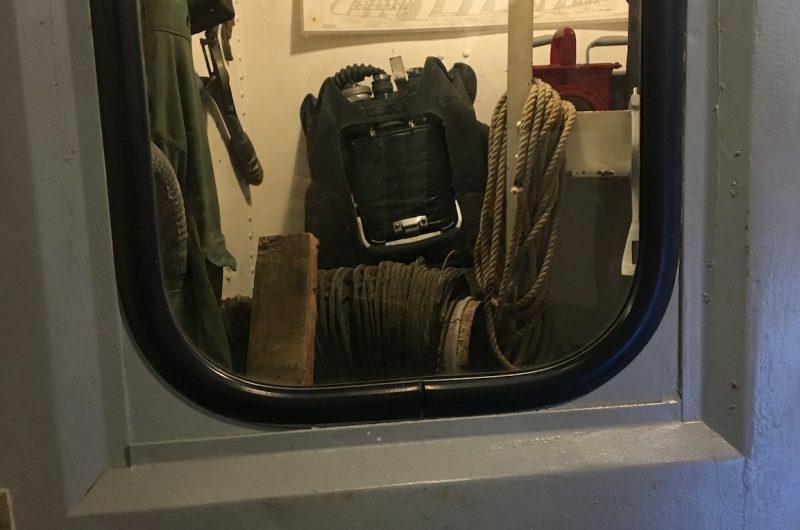 The Midships Repair Locker contained firefighting and damage control equipment used by the midships repair party. Equipment on display includes oxygen breathing apparatus, a submersible pump, all-purpose nozzles, and a Red Devil air blower used to ventilate smoke-filled spaces. 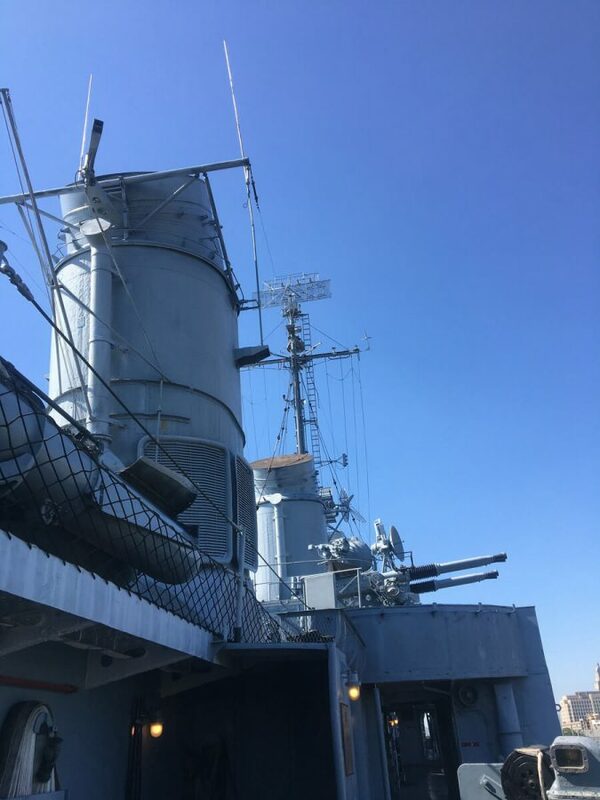 There were three Damage Control Lockers on the KIDD: one aft, one amidships, and the other way up forward on the main deck. In addition, damage control activities were coordinated by the Damage Control Officer in Damage Control Central in the Supply Office. The ECM and Battery Charging Space had two functions. 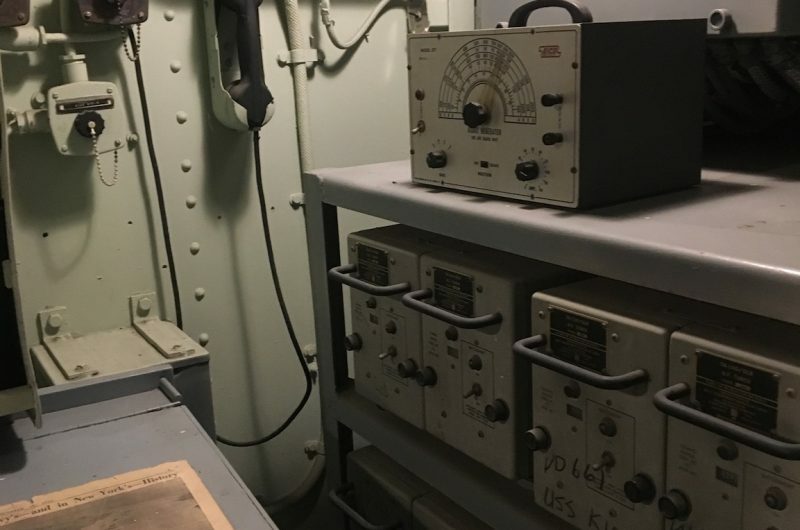 ECM was “Electronics Countermeasures.” This was the top secret science of radar and radio detection and jamming. 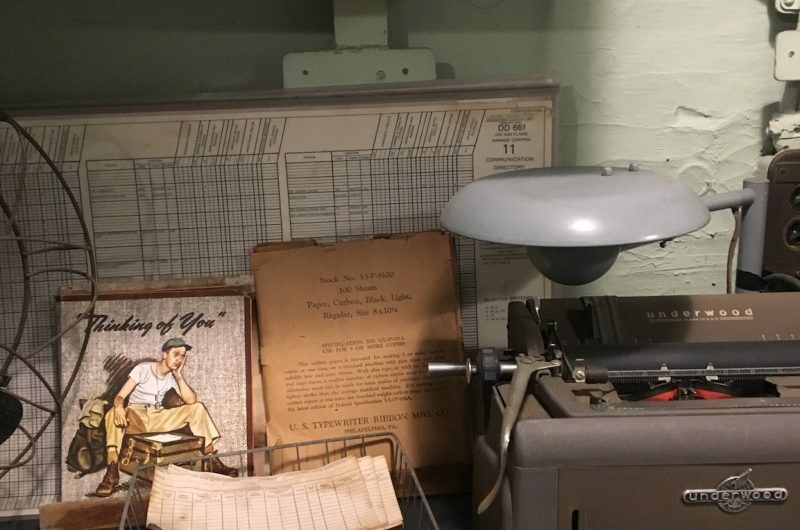 The Battery charging room was used to maintain the large six volt batteries used to start the motor whaleboat engines, emergency diesel generator, and provide an emergency power source for the master gyro compass in the plotting room. 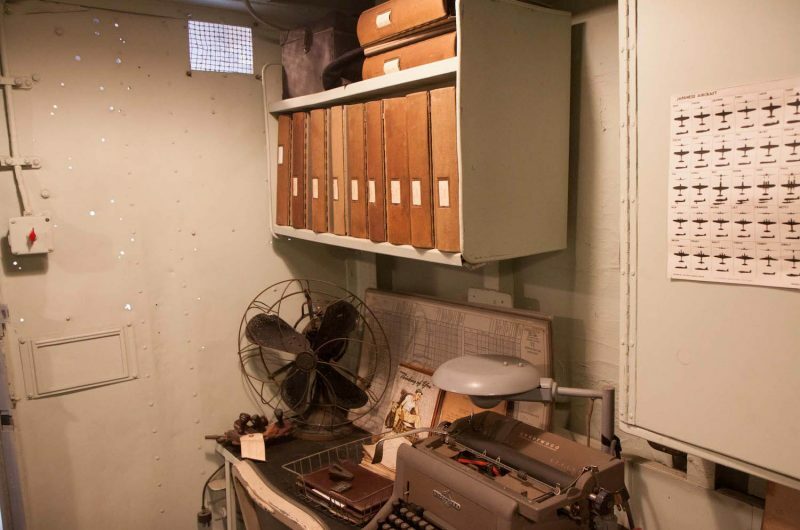 The Emergency Radio Room contained radio equipment that was a backup in the event that main Radio Central was destroyed. 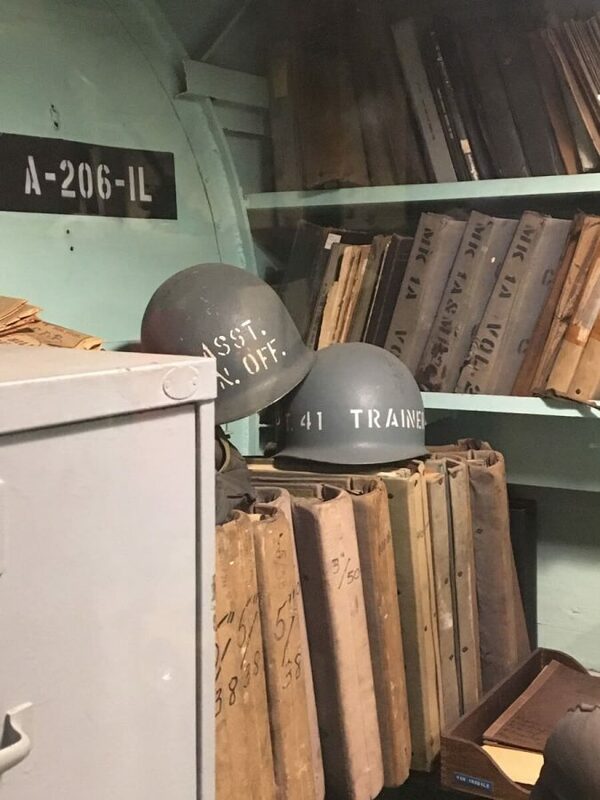 The equipment in this space is the same as it was during World War II. Two transmitters, a TCS and the large TBL, are present. 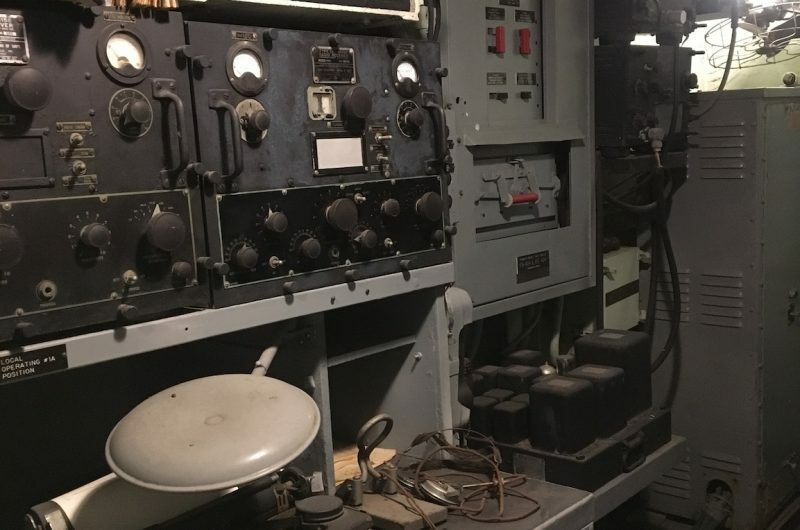 The two receivers at the operator’s table are an RCK-RAL combination. 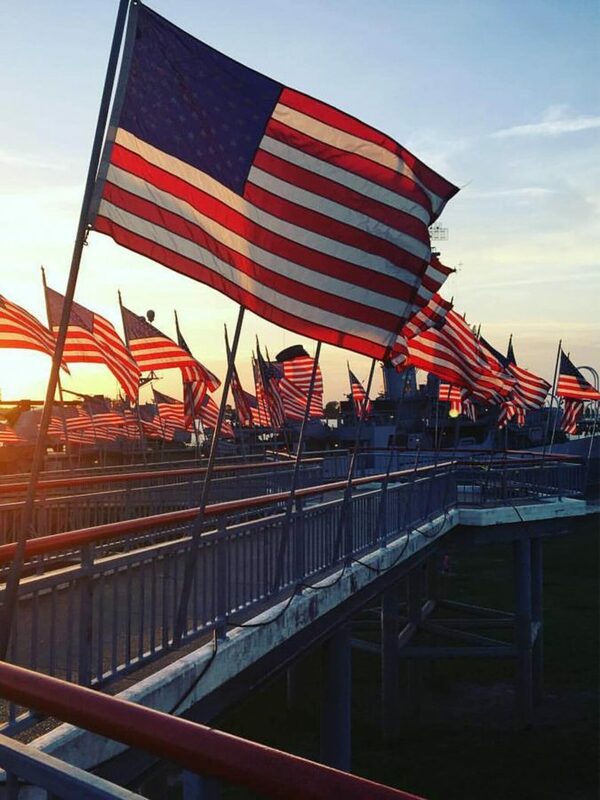 You are now on the main deck port side. 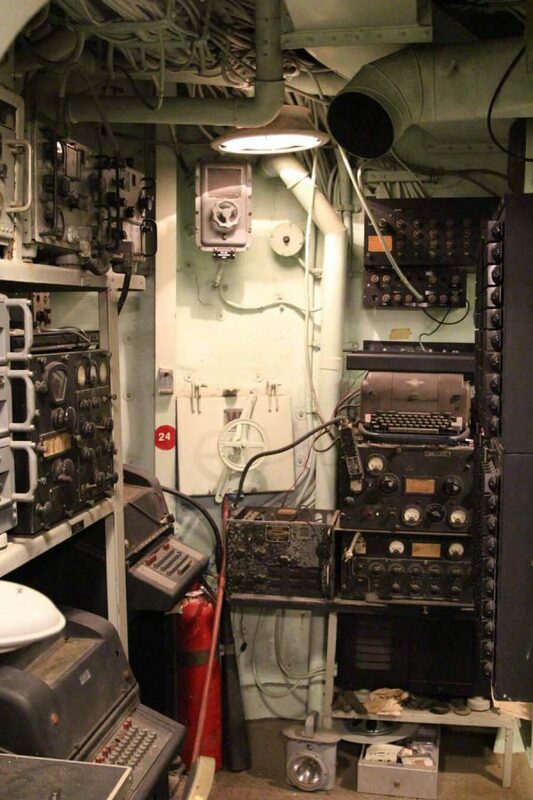 The outboard deckhouse held the radar equipment for 40mm Gun Mount 44 directly above. 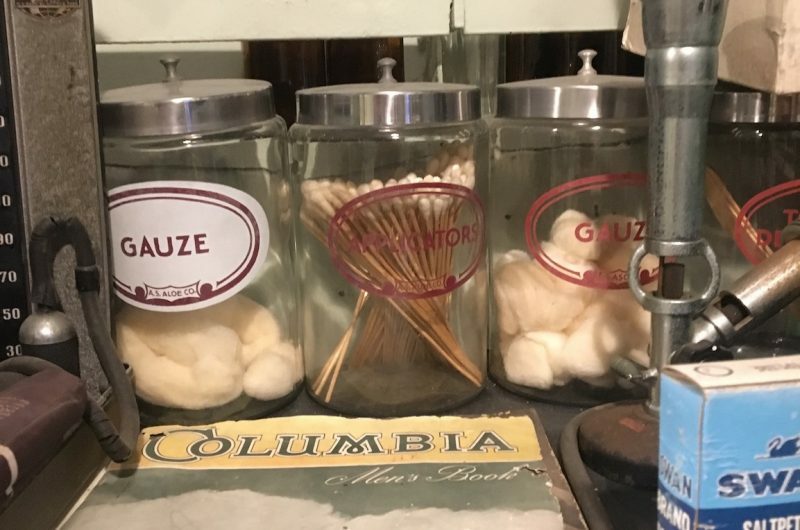 This equipment was removed as obsolete in the early 1960s. If you look inside this compartment, you will notice its poor condition and heaping piles of junk. 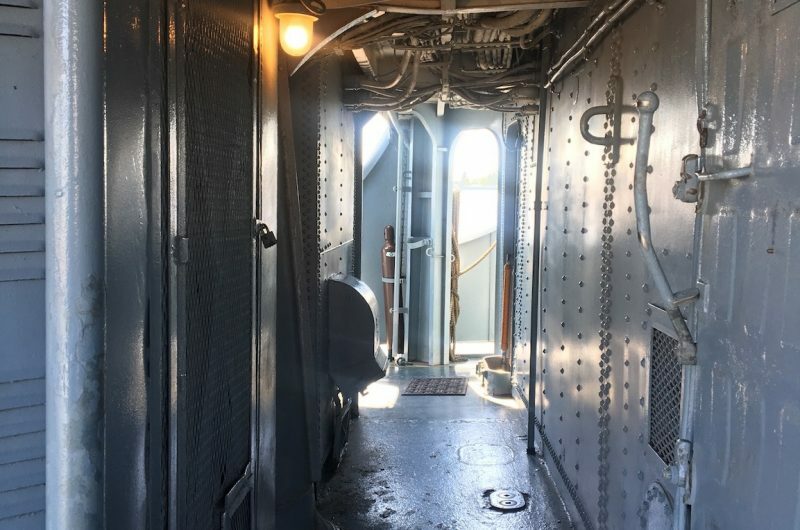 We have left this one compartment exactly as we found it in 1982 when the KIDD was brought to Baton Rouge, without undergoing restoration. 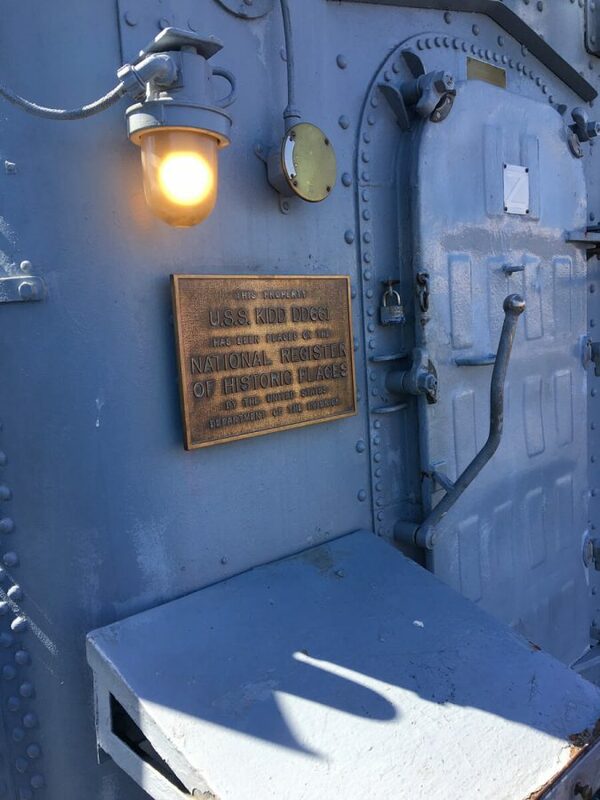 Compare what she looked like back then to what she looks like now and you will see the awesome feat accomplished thus far by the USS KIDD Veterans Memorial in restoring the KIDD to her current state.